A pioneer in integrative health passed away recently. Help us remember him. 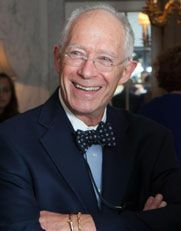 The leadership and staff of ANH-USA are remembering and honoring a true legend in integrative medicine, Warren M. Levin, MD, in light of his recent passing on July 21 at the age of 85. Dr. Levin was practicing integrative medicine long before it enjoyed the stature it enjoys today. He was the founder of the Levin Center at the World Trade Center in 1974, one of the first major integrative medical centers in America. This was a time when medical practitioners who dared to wander outside the mainstream medical paradigms were under constant pressure from state medical societies and medical boards. Dr. Levin stood up to these challenges and, in a landmark defense of his medical license, he carved out a space for integrative physicians to practice throughout the country. He touched countless lives with his vision for health and well-being long before it was commonplace to think in those terms. Dr. Levin was truly at the forefront of medicine. He was among the first physicians to document the connection between Candida (yeast) and a variety of conditions, including chronic fatigue syndrome and fibromyalgia. He was among the first to offer IV chelation therapy for heart disease and a pioneer in providing bioidentical hormone replacement therapy for anti-aging. We are so grateful for his groundbreaking work in Functional Medicine and would not be where we are today without his invaluable contributions to the field. He was a revered doctor to his patients and a pillar of the integrative health community at large. ANH-USA has established a memorial fund in his name to honor and continue his work in integrative medicine. All monies raised through this fund will go directly to the advancement of integrative/functional medicine. Please donate today and help ANH-USA honor his legacy.